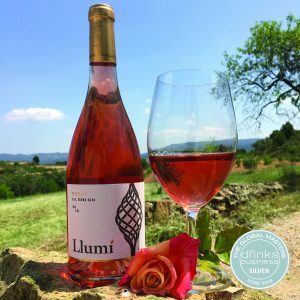 We are delighted to announce that our Llumí Rosat 2016 has won a Silver Medal in the Drinks Business Global Masters Rosé Challenge 2018. This is a prestigious competition open to all the world’s Rosé wines. We knew we had made a great wine, because everyone kept telling us it was great, however it’s birth and upbringing were the result of a happy accident. As 2016 was our first year in production we had decided to operate a “keep it simple, stupid” (KISS) principle. We planned to make four wines, two whites and two reds. However when we harvested our nice, juicy, ripe Garnataxa Negre (Grenache) we found we had more than we thought. We use automated pigeage red wine fermenters, and these are fairly picky as to how many grapes they can take and still work well. So when our Garntaxa fermenter reached its max, and we still had some grapes left, there was a quick conference to decide what to do. We realised we had a spare small fermenter in the corner, so quickly decided that we should have a go at making a Rosat (Rosé) with the excess. The bunches were destemmed and crushed and put in to the press, just as we would do for white grapes. We left them in the press for four hours to pick up a nice pink colour from the skins. We then pressed to extract the juice, and after being allowed to settle overnight, put it in to the fermenter. The only yeasts we had to hand were more for making whites so we just decided to use these. However the grapes, which had been destined for a nice big red wine, had pretty huge levels of sugar. The white yeasts weren’t really designed to cope with so much, so began a slow and painful process to get the wine to ferment to dryness. In the end the yeast, and we therefore too, gave up when the sugar levels had got to just below 4gm/l. Because of the small amount of residual sugar, we felt we had to closely filter the wine to ensure stability. In doing so, it lost some of it’s more intense red fruit character, but still shows lots of stewed strawberry and Valencia orange hints. We then bottled it – a grand total of 1440 bottles! The small amount of residual sugar combined with the 14.5% alcohol makes for a great punchy, fruity well balanced wine. 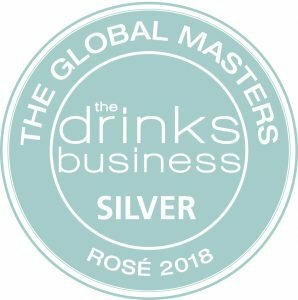 A fact now formally recognised by the Judges of the Rosé Masters 2018!